After Speaking with Brembo U.S.A Representatives, it was clarified to CycleVIN L.L.C. Management that the only Master Cylinders effected by this recall are the Original Equipment one’s from the Manufacturer. No aftermarket master cylinders, such as the 19RCS, are effected by this recall. Effected Brands are as follows: Ducati, Piaggio, MV Agusta, KTM, TM Racing, Moto Morini, Aprilia, Norton & Horex. Contact your nearest Authorized Dealer to find out if your VIN is on the list. Dealers will replace the plastic piston with an aluminum one free of charge. Brembo S.p.A. (Brembo) is recalling certain motorcycle front brake master cylinders, part numbers 10.4623.62 and 10.4623.63. The piston within the front brake master cylinder may crack and fail. 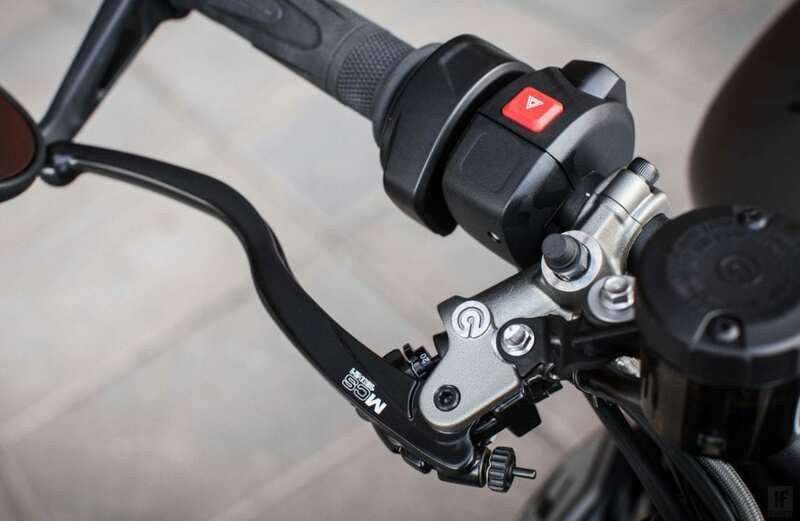 Brembo has notified the motorcycle manufacturers that built motorcycles with the affected master cylinders, and they are conducting recalls to have their dealers replace the pistons with aluminum ones, free of charge. Notifications began December 31, 2017. Descriptive Information: Failed brake radial master cylinder pistons made of polyphenilene sulphide (PPS) received from the field were compared with those that did not fail. Three failed PPS front brake radial master cylinder pistons were disassembled and analyzed. No signs of improper service were detected. Analysis of production front brake radial master cylinder pistons made of polyphenilene sulphide (PPS) revealed porosity in the area between the push rod seat and the spring seat due to material shrinkage during solidification. In all cases of part failure, the fracture started from the porosity and then developed along the piston axis. The recall population consists of every batch of front brake radial master cylinder pistons made of polyphenilene sulphide (PPS): seven batches in total (batch No.’s 101014, 020315, 011015, 090316. 110416, 211116, and 130217). The issue is not isolatable to individual batches. Accordingly, Brembo is recalling all batches of front brake radial master cylinder pistons made of polyphenilene sulphide (PPS). Description of the Defect : Crack generation on the polyphenilene sulphide (PPS) front brake radial master cylinder piston connecting the internal pressure area to the external surface. Description of the Safety Risk : If a crack through the piston occurs, the fracture connects the pressure chamber with the open air. In this condition the front brake radial master cylinder is not able to generate enough pressure in the system and may reduce the braking system’s effectiveness. As a result, braking can only be performed with the rear brake which may increase stopping distance significantly, which, in turn, may increase the risk of injury to the rider and/ or to property damage. Description of the Cause : The piston material was found to have an unfavorable geometric distribution of porosity generated during the injection process, which could lead to component failure (crack generation) subject to stress typical of use of the vehicle on race tracks, frequent ABS brake intervention, or vehicles falling to the ground. Identification of Any Warning that can Occur : The failure may occur without warning to the driver and significant loss in brake effectiveness cannot be excluded as an early symptom. apparent event damage. Analysis was performed with the support of the vehicle manufacturer (Ducati). that a recall of front brake master cylinder pistons made of PPS was necessary. Description of Remedy Program : Brembo is providing replacement parts to all motor vehicle manufacturers that were supplied with front brake radial master cylinder pistons made of polyphenilene sulphide (PPS). Rather than polyphenilene sulphide (PPS), the replacement front brake radial master cylinder pistons are made of aluminum machined from bar, that guarantees a much higher material strength as well as the absence of any porosity. This solution, already validated and in production for the past fifteen years, has proven to be fully reliable. Aluminum pistons never experienced the issue described herein with regard to PPS front brake radial master cylinder pistons. The replacement of PPS front brake radial master cylinder pistons with an aluminum unit is being performed at no cost to the manufacturers or owners of the involved motor vehicles. How Remedy Component Differs from Recalled Component : Brembo is providing replacement parts to all motor vehicle manufacturers that were supplied with front brake radial master cylinder pistons made of polyphenilene sulphide (PPS). Rather than polyphenilene sulphide (PPS), the replacement front brake radial master cylinder pistons are made of aluminum machined from bar, that guarantees a much higher material strength as well as the absence of any porosity. This solution, already validated and in production for the past fifteen years, has proven to be fully reliable. Aluminum pistons never experienced the issue described herein with regard to PPS front brake radial master cylinder pistons. Part No. 10.4623.62 (15 mm diameter): 8722 components involved Part No. 10.4623.63 (16 mm diameter): 71359 components involved Total (10.4623.62 + 10.4623.63): 80081 components involved Deployment by Motorcycle Manufacturer involved: Part No. 10.4623.62 (15 mm diameter): DUCATI=3274; KTM=5100; TM Racing=348 Part No. 10.4623.63 (16 mm diameter): DUCATI=39401; KTM=22353; PIAGGIO=9200; MV AGUSTA=330; MOTO MORINI=51; NORTON=53; HOREX=169 Identify How/When Recall Condition was Corrected in Production : July 2017: Brembo decided to discontinue manufacture of the PPS brake master cylinder pistons, using instead pistons made of aluminum.